At the Independent Karate School, we are devoted to excellence in the teaching of self-defense. Beyond this central purpose, we also seek to foster good attitudes and scholastic achievement among our students. At every opportunity, we encourage them to stay in school, focus on their homework, share news of their achievements with our instructors, and pursue higher education after high school. In 1993, the IKS established a college scholarship fund to honor the memory of an outstanding student: Craig P. Hutchinson. Earning his black belt in 1985, Craig demonstrated leadership qualities in every facet of his life and served as a great source of inspiration to many of our younger students. 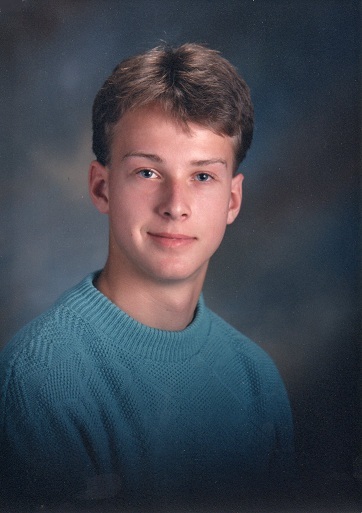 To our community's great loss, Craig contracted infectious mononucleosis while a sophomore at Carnegie Mellon University and passed away on December 30th, 1992. Craig exemplified the spirit of the martial arts as he astounded his doctors at University Hospital with his courageous will to live. The Craig P. Hutchinson Memorial Scholarship is funded through the Independent Karate School Scholarship Foundation (a federally recognized 501(c) 3 charity). Students who have attained the rank of first-degree black belt or higher are eligible to apply during their final year of high school. Since inception, the Foundation has distributed well over $150,000 to our students. Due to the great amount of respect felt for all IKS black belts, selecting the scholarship winner is one of the greatest challenges that the Foundation's Board of Directors face each year.